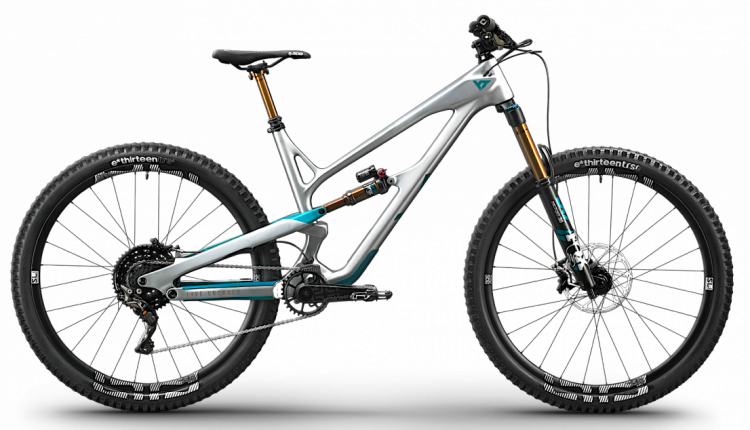 YT Industries (YT), pioneering MTB brand, has launched the all-new JEFFSY – its most versatile and aggressive trail bike to date. In true disrupting YT style, the latest bike launched today with a stirring three-and-a-half-minute film entitled ‘Friendship Redefined’, featuring an emotive monologue from Hollywood A-Lister Christopher Walken. With his instantly recognizable voice and trance-setting tone, Walken was the only choice to star in the film for YT’s latest campaign. ‘Friendship Redefined’ delivers the definition of friendship to a higher level – something authentic, real, committed and unjudging. 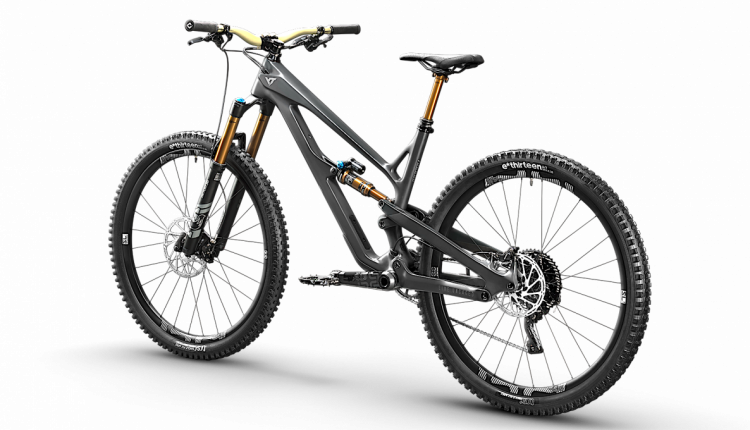 And this is what the 2019 trail bike brings to the table. “It’s the bike to create memories with,” says Flossmann. Following the ground-breaking ‘Return of the Goat’ CAPRA 2018 movie and original head-turning ‘I love/hate JEFFSY?’ campaign, YT (never one to be shy) has blown the cycling industry norms out of the water by collaborating with the Academy Award winner – whose remarkable filmography includes The Deer Hunter, Batman Returns, A View To Kill, Sleepy Hollow and Pulp Fiction (to name a few!) – for the launch of the 2019 JEFFSY. 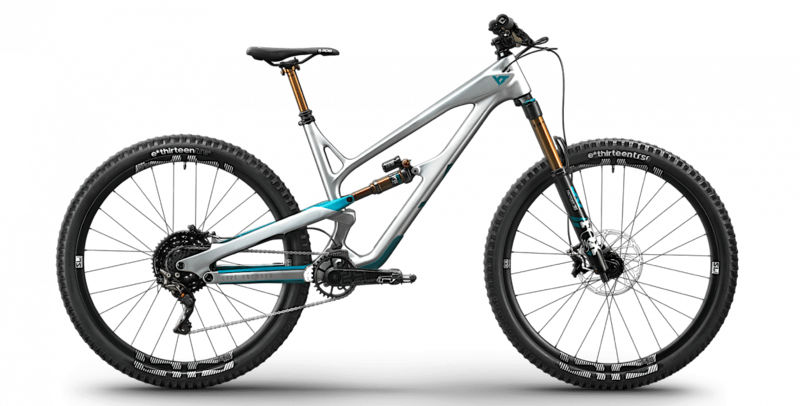 The latest range is certainly another head-turner, but how do you go about improving on a trail bike as brilliant as the legendary JEFFSY? 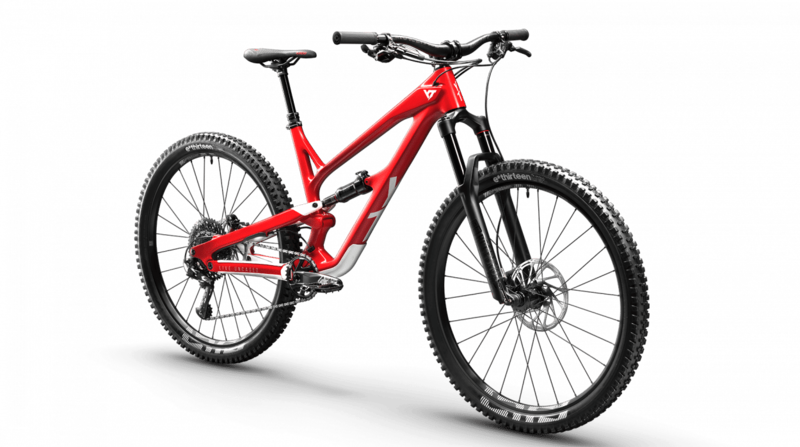 You take the best of the existing platform, listen to the feedback from the world’s best pro riders and the latest technical developments of the ingenious German R&D and engineering team, and apply them with astonishing detail and exacting precision to a size and specification range that means there’s a perfect JEFFSY for every trail rider. 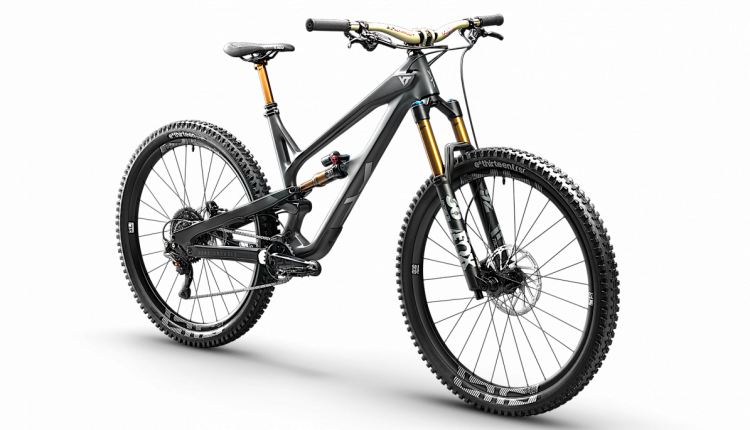 The design ethos, ride characteristics, basic geometry, adaptability and fun-factor are familiar across the all-new JEFFSY range, with a DNA shared from the range-topping CF Pro Race through the CF Pro and CF Comp to the most affordable AL Base model. Choose 29 or 27in wheel sizes: both are undeniably fast and aggressive. The 29 rolls super-efficiently and offers perfect control while the 27 brings a more agile and playful ride. 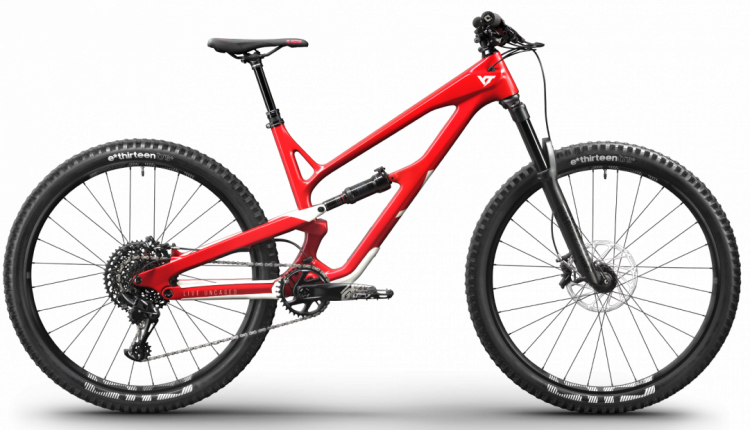 The CF Pro Race, CF Pro and CF Comp are all available in five frame sizes from XXL to S, with the AL Base available in four sizes from XL to S.
All 2019 JEFFSY models feature new geometry with a slack head-angle, longer wheelbase, longer reach, lower standover height, better-pedaling performance, ergonomic and riding feel. 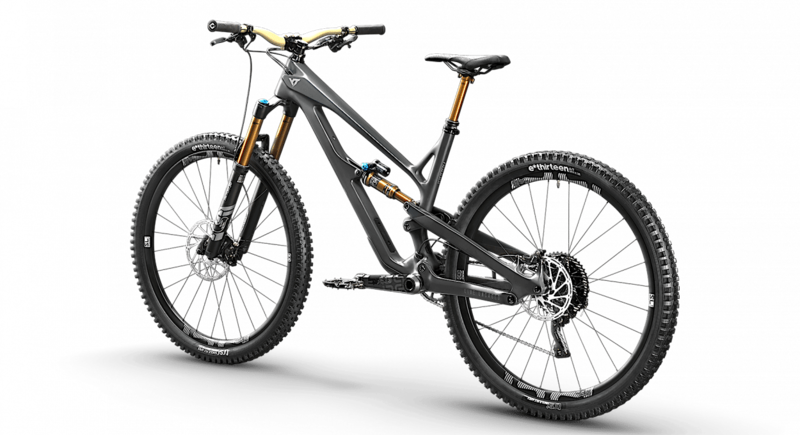 There’s an all-new kinematic with increased anti-squat, and a new bearing and axle system with single-sided access and longer lifetime. The new headbox shape gives increased headtube stiffness, and there are fewer mud pockets throughout the frame. There is a new integrated YT THIRSTMASTER 4000 water bottle and bottle cage, developed in collaboration with Fidlock. The range also features a new cable clamp and cable plugs, and a fully integrated protection system with bolted DT protection. 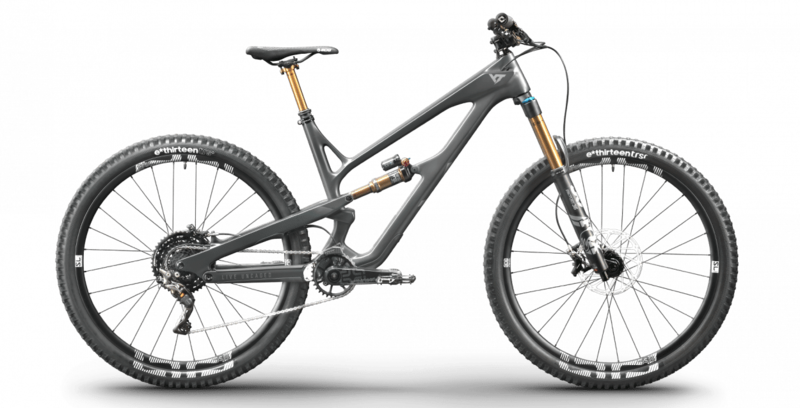 All models of the new JEFFSY feature the integrated Flip Chip: with it, riders can easily adapt the bike’s geometry to suit terrain. 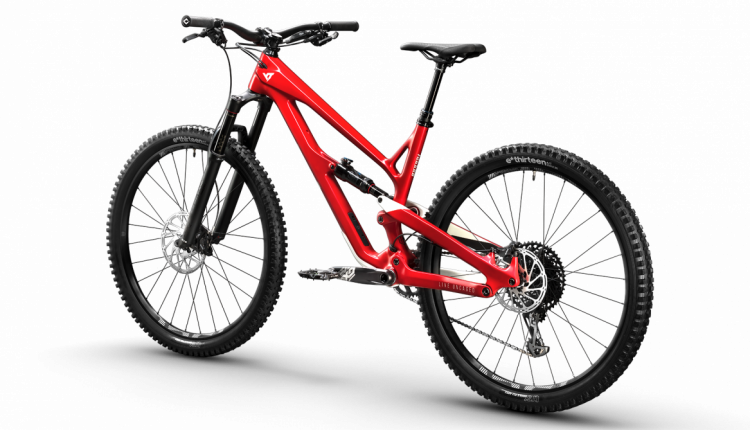 In the low position it slackens the head-angle (to 66° on the 29er and 66.5° on the 27in, both in size L) and lowers the BB (to 344mm) for fast and rough terrain. 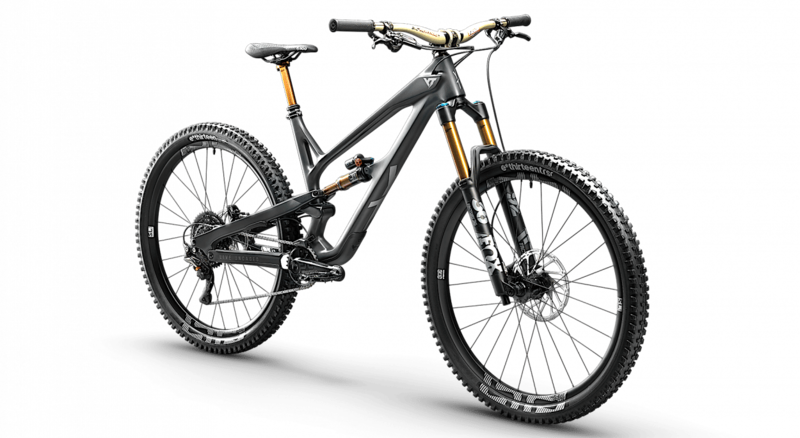 In the high position, the BB is raised to 352mm for better clearance and more fun on the climbs. 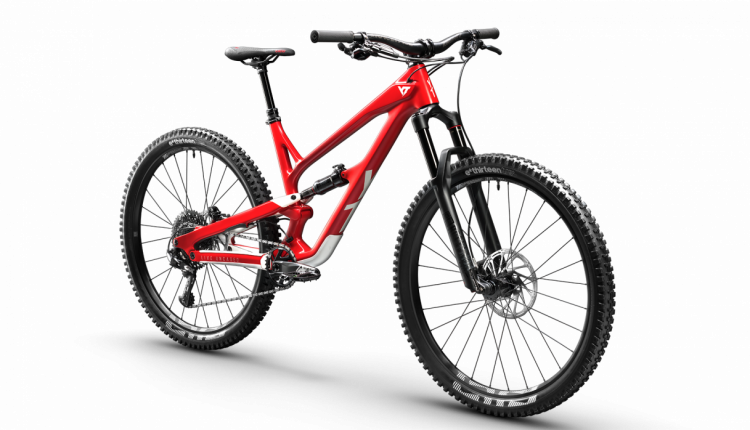 The 29er (size L) returns excellent seated pedaling efficiency thanks to the 77° seat-tube angle, and gives 10mm more rear travel compared to the original JEFFSY, with the 210mm shock delivering a 50/55mm stroke. 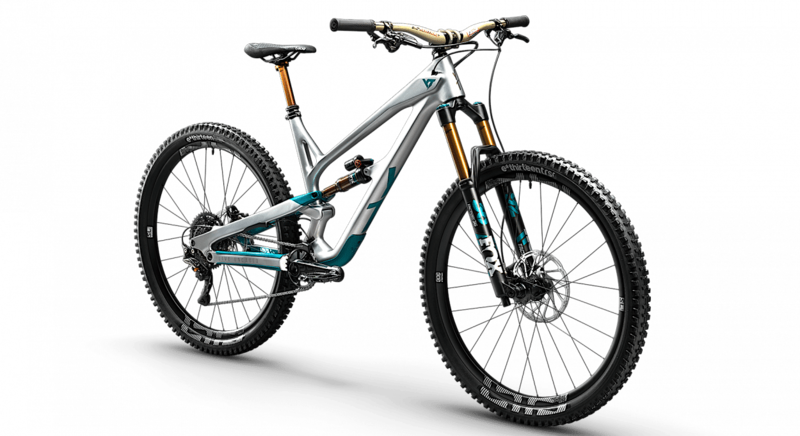 The 27in counterpart features a 76° seat-tube angle and a 230mm shock with 60/65mm stroke. 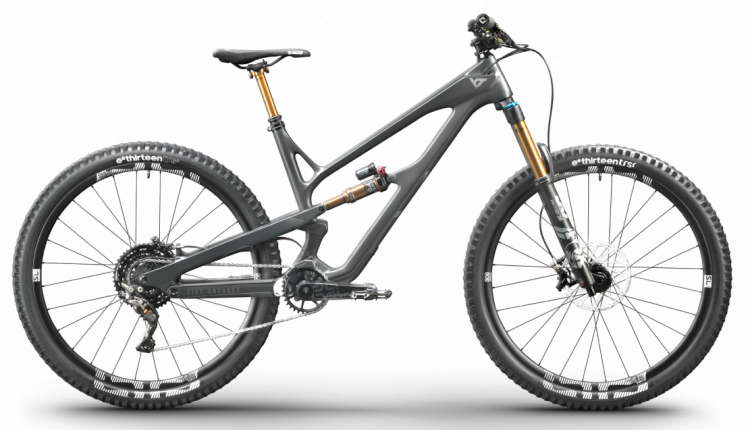 The no-compromise component specification is mouth-watering – take the JEFFSY 29 CF Pro Race for example: a FOX 36 Float Factory fork with 150mm of travel is paired with FOX Float DPX2 Factory shock for extremely responsive and highly adjustable suspension. 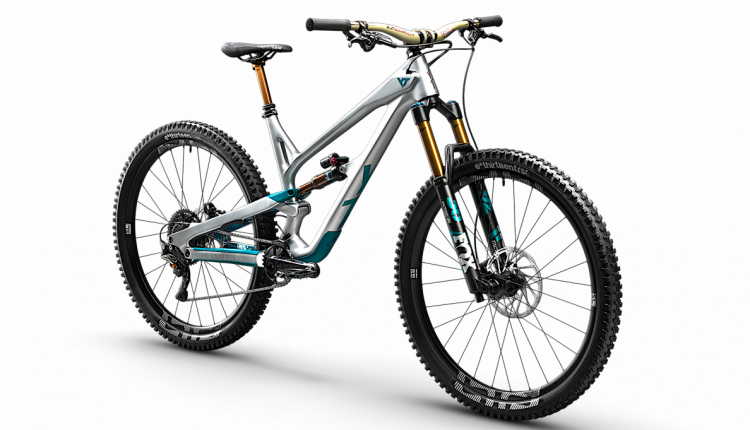 The stiff e*thirteen TRSr cranks and Shimano XTR equipment deliver a direct drivetrain feel and crisp and precise shifting, while SRAM Guide RSC brakes bring awesome modulation and ultimate control. 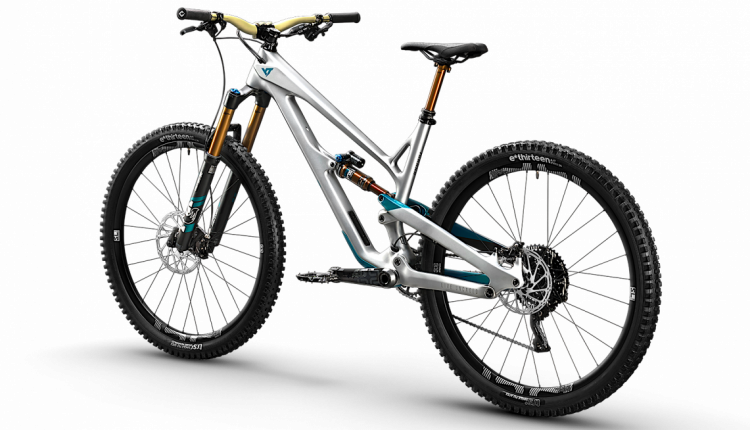 In 2008, Markus Flossmann founded YT Industries with the aim of building competition-ready, affordable dirt jump and slopestyle mountain bikes for talented young riders. 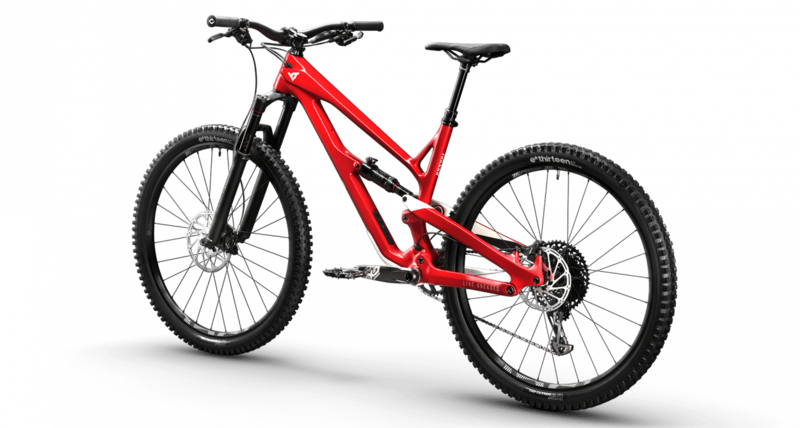 After 10 years, the product range has grown significantly to include high-end downhill, enduro, trail and dirt jump bikes, which are regularly awarded with prestigious prizes. The secret of our success? High-quality products, fair prices, the direct selling method which eliminates the profit margins of middlemen, an unmatched reputation, and last but not least, a team of world-class riders like Cam Zink, Andreu Lacondeguy and Brett Tippie who are all part of the YT family. Today, YT has created an international sales structure with strong partners in Europe, USA, Canada, South America, New Zealand, Australia, Asia and Africa who take care of the worldwide distribution and service of YT bikes. 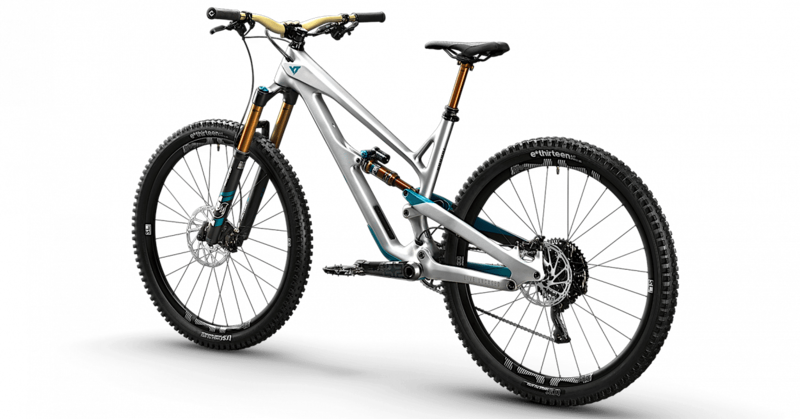 For more information, visit YT-Industries.com and follow us on Facebook, Instagram and YouTube.